How Do International Students Apply for the CPA? How Do You Apply for the CPA Exam as an International Student? The CPA exam application process for non-citizens or people who live outside the United States is complicated. Heck, the application process is complicated for citizens. It’s way too complicated for international candidates and non US citizens. Let’s discuss the ways you can apply for the CPA exam as an international student. 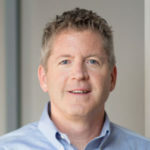 1 Who Can Take the CPA Exam? First off, we need to discuss who is eligible to apply for the CPA exam as an international student. To do that, we need to look at the state boards‘ licensure requirements to see if international people can apply. Remember, state boards are the legal bodies that issue CPA licenses. The CPA certification isn’t a national US designation. There are 54 different accounting boards that issue CPA licenses. That’s right, 54! Each of the 50 states issues its own CPA certificate, as do Washington D.C., Guam, Puerto Rico, and the U.S. Virgin Islands. Each has different rules and requirements to sit for the exam and become licensed. In addition to meeting the requirements of a state, you will need to sit for the exam. 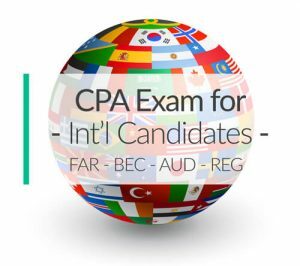 As of 2011, the US CPA examination is being offered in several countries other than the U.S. including Japan, Kuwait, Lebanon, Bahrain, and the United Arab Emirates while there are many more who are working on joining this list as well. The AICPA Website has more details about testing centers abroad. Before we can look at scheduling a testing date, let’s look at the requirements for each jurisdiction and see which ones are most accepting of those who want to apply for the CPA exam as an international student. The minimum educational requirement to sit for the CPA exam is generally a four-year degree (120 credit hours) from an accredited University. 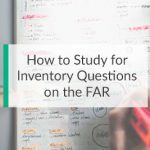 In addition to the 120 credit hour minimum, candidates must take a required amount of accounting, business law, finance, taxation, and auditing classes for most jurisdictions. Some states require 150 University semester hours before you can sit for the CPA exam. Most states also require 150 credit hours to obtain a license after the exam has been successfully completed. If you attended a college or University outside of the United States, you will have to check to see if your educational institute is accredited and recognized by the AICPA. If it isn’t, you will not be able to apply for the CPA exam as an international student. NASBA has created a resource to help identify approved educational institutes. Some states do not require that you be a resident of the state or a U.S. citizen to earn a CPA certificate in that state. The following states do not have residency requirements. All states now require 150 University credit hours to meet the educational requirement and obtain a CPA license. The application to apply for the CPA exam as an international student is very similar to domestic candidates. The only real difference is in the educational requirements. Most US Colleges and Universities are accredited and approved by NASBA and the AICPA. Thus, US candidates don’t tend to have problems with their education requirements. Before you apply, check the NASBA site to make sure your institution is recognized. After that is out of the way, your application process should be pretty easy.